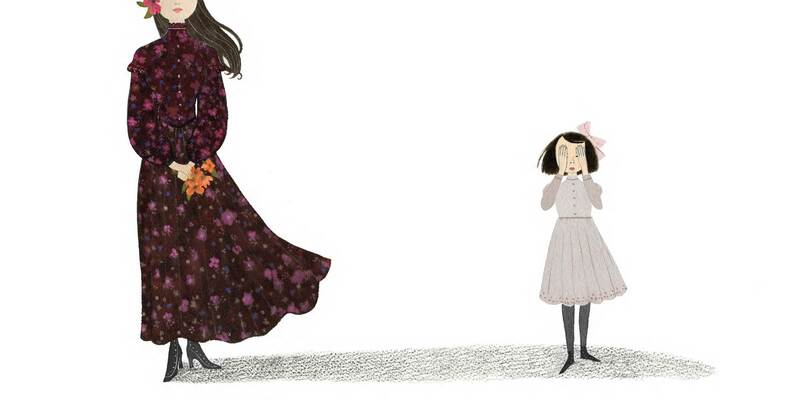 A dazzling picture book biography of one of the world’s most influential designers, Elsa Schiaparelli, by the team who created Julia, Child. Elsa dared to be different, and her story will not only dazzle, it will inspire the artist and fashionista in everyone who reads it. By the 1930s Elsa Schiaparelli had captivated the fashion world in Paris, but before that, she was a little girl in Rome who didn’t feel pretty at all. 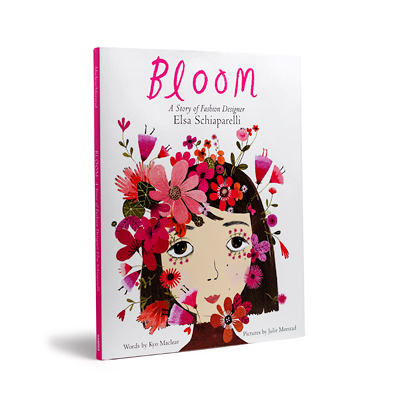 Bloom: A Story of Fashion Designer Elsa Schiaparelli is the enchanting story for young readers of how a young girl used her imagination and emerged from plain to extraordinary. In the 1920 and ’30s, influenced by her friends in the surrealist art movement, Schiaparelli created a vast collection of unique fashion designs—hats shaped like shoes, a dress adorned with lobsters, gloves with fingernails, a dress with drawers and so many more. She mixed her own bold colors and invented her own signature shades, including shocking pink. Bloom: A Story of Fashion Designer Elsa Schiaparelli follows Schiaparelli’s life from birth and childhood to height of success. Julie Morstad’s elegant imagery saturates the pages with Schiaparelli-inspired shapes and colors. To pur­chase BLOOM: A Story of Fashion Designer Elsa Schiaparelli by Kyo Maclear, please visit your local inde­pen­dent bookseller.